Guess who earned the Naughty Phone? ‘Adulting’ is hard. Parenting is hard. And Digital Parenting is unbelievably hard! I don’t claim to be the best parent, but, like you, I’m doing the best I can. So, when it comes to disciplining my children, I’ve realized that only one thing works: Taking Away Their Phones. Disciplining kids today is no easy task. Research says a child would rather lose their pinky finger than their cell phone. And that a child would rather have an iPhone than a car when they are of driving age. For a parent that grew up before smartphones became pervasive and before it was the norm to share our lives on social media, this all seems odd. But for today’s kids, being connected to friends, family and entertainment whenever they want is a given. When the first smartphones arrived on the scene, they were expensive and not every child had access to one. But today, with many smartphones being free just for signing up for service, the monetary barrier has come down. So much so that, in the U.S., the average age that a child gets their first cell phone is 10… that’s a 5th grader with an iPhone or Android phone, not a flip phone. Of course, that’s not when our kids are first socialized into technology dependency … that average age is, well, closer to when they can sit up and hold a device. So, it comes as no surprise to me that THE ONLY DISCIPLINE ACTION THAT HAS AN EFFECT ON MY CHILDREN IS TAKING AWAY THEIR TECHNOLOGY. The most important piece of technology to them is their smartphone. I have a feeling my kids are not outliers here. That said, taking their phone away does have some implications. For example, the first time my child lost her phone (OK, had turned the phone over to me), there was a tornado warning in the area that delayed school and she had no way to contact us (the school let us know, but she did not know that). The second time she lost her phone, the school went on lock-down because an armed robbery had occurred down the street from the school at the end of the day. So again, she felt uncomfortable because should couldn’t contact us. Oh, and the third time, her carpool forgot to pick them up at school and guess what, no phone! Am I being a bad father for taking away the only thing that my children actually care about losing? Is the universe plotting something against me and my attempts to teach a lesson to try and instill the importance of a behavior change? 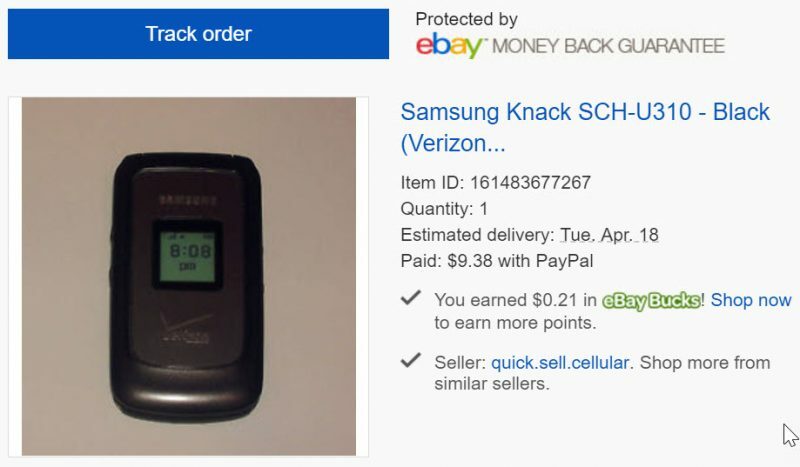 I started searching eBay listings for old flip phones that had NO CAMERA and NO INTERNET connectivity. And then I found it! The Naughty Phone! Well, that is at least what I call it. Because in my house when you do something not nice to someone else, you turn in your smartphone and get handed the Naughty Phone. Prior to purchasing a used flip phone, ask your carrier if they will activate it. If not, consider purchasing a new flip phone from your carrier. Parenting tip: Add the Naughty Phone to your contacts list so that you can always reach your child, even after they make a poor decision. This makes it seamless for you to transition from the smartphone (good behavior) to the Naughty Phone (when earned) in the blink of an eye. So far, there have been no more cosmic anomalies or criminal activities and the kids are learning that life is a bit more boring (and boring is GOOD!) since the introduction of the Naughty Phone. Naughty behavior earns the Naughty Phone. And for about $10 and the access fee, you too can add the Naughty Phone to your discipline repertoire. What about you and your family? Am I the lone parent with this experience? Let me know! Young people experience their world—academically and personally—through technology now more than ever before. 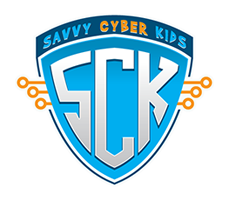 Savvy Cyber Kids delivers the tools and resources to keep them safe online. We also encourage students to join up with Savvy Cyber Kids to learn more about cyber ethics and cyber security issues, alongside a forum to keep their peers up-to-date on the latest information out there. Middle Schoolers: Have a movie or book review that explores cyber ethics issues that you would like to submit? Email Ben.